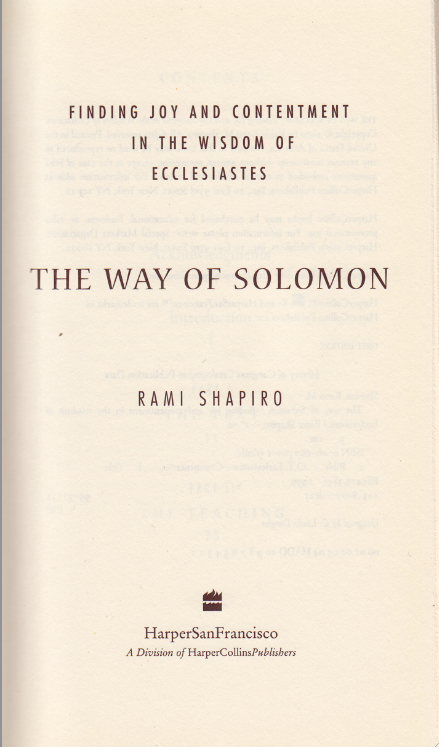 Click here for sample verses from the versions by Rami Shapiro. Comments: Hardbound octavo 182 pp. Shapiro wrote an 8- page introduction, wherein he motivates the reader to read his rendering alongside another standard translation and to enter into conversations with the translators. 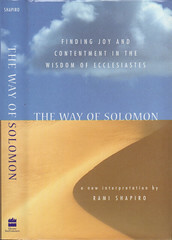 The scripture text is presented in paragraph form. 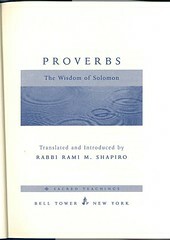 Publisher: New York N. Y. (U.S.A.): Bell Tower. Crown Publishing Group. Random House. 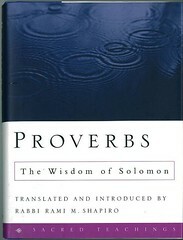 Contents: Proverbs. Contents (2 pp); Introduction (14 pp). – Afterword (4 pp). 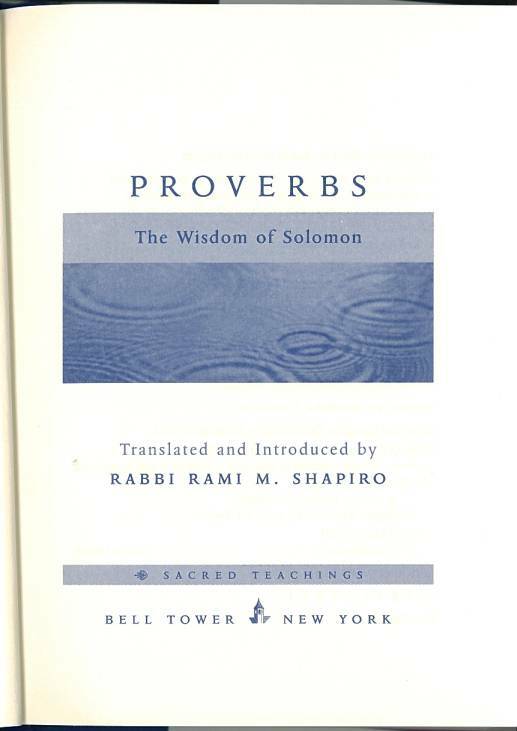 „About the Author“ (1 p.); Other Bell Tower Books (8 pp). 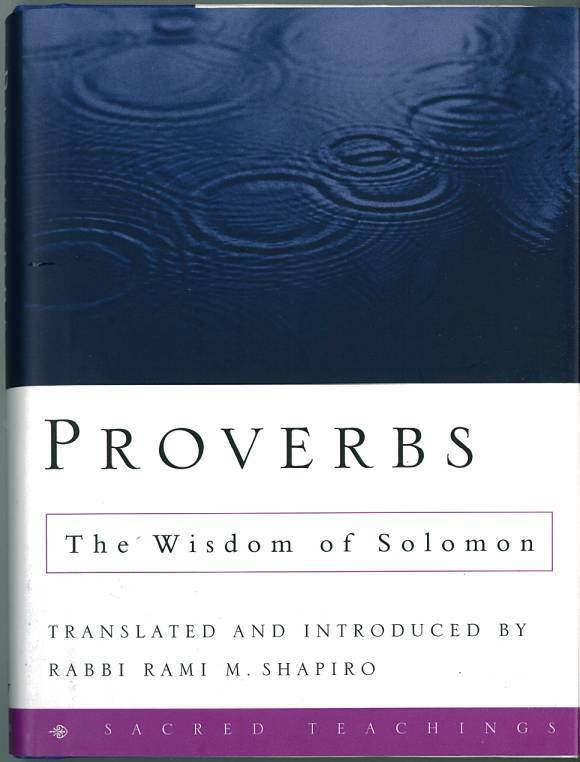 Paraphrase of Scripture text verse–wise and in colometric print, versification counted in groups in some instances; no further extras.